August 29, 2018, 5:00 p.m. 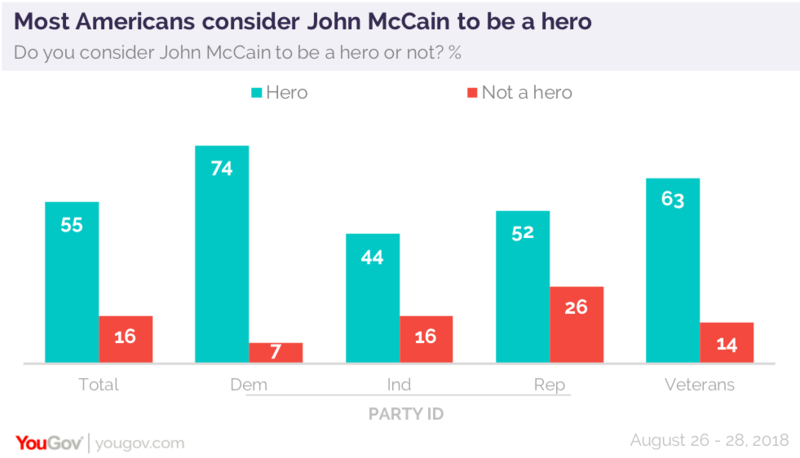 Perception of McCain the hero crosses party lines: majorities of both Republicans and Democrats call him a hero, although the margin is largest among Democrats. Veterans overwhelmingly call McCain a hero. John McCain’s disagreements with President Trump have left some Republicans much less willing to convey a hero status on the Senator. Those Republicans who supported Donald Trump during the 2016 primary season (more than half of all Republicans) are less willing to grant McCain hero status. 43% of them call McCain a hero, 34% say do not. McCain’s maverick image and recent voting behavior has endeared him to Democrats, though his past actions have caused Republicans to reassess their views of him. In early 2015 and 2016, most Republicans had a favorable opinion of McCain, while most Democrats did not (there were sizable minorities in both parties with opposite views). After McCain’s 2017 vote against Obamacare repeal, party positions changed, and most Democrats viewed him positively, while most Republicans did not. Now, after his death, McCain receives positive assessments from both parties, though he still is particularly liked by those on the other side of the aisle. Many of those in McCain’s own party appear less willing to forgive him for his maverick behavior: among Republicans who were supporters of President Trump during the 2016 primary season opinion of McCain is mixed: 45% are favorable, but 48% are not. Many Americans would like to see those political disagreements set aside. Nearly as many say President Trump should be invited to the funeral for John McCain as say he should not be invited. Most Republicans want to see an invitation for the current President. Republicans also believe he should attend the funeral, though the overall public disagrees. 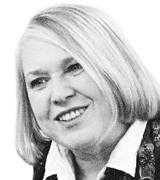 But few think the President should join his predecessors, Barack Obama and George W. Bush, in speaking at the funeral.